Needing a little cruise-spiration? Check out Cruise Guru’s selection of Top Pick Norwegian cruises ready to take you on exciting adventure to far-flung corners of the globe. From the tropical beaches of Hawaii, vibrant cities of the Mediterranean, all the way to the phenomenal landscapes close to home in Australia and New Zealand. $10pp deposits* on cruises departing after 10 September 2019. View more cruise options on Norwegian Cruise Line, view all Norwegian’s cruise departures from Sydney, use our Cruise Finder to locate your perfect Norwegian cruise, or check out our other great Cruise Deals. *Terms and conditions apply. Subject to availability. 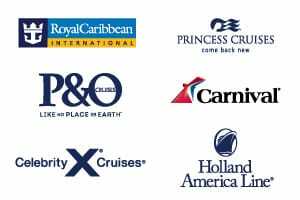 Please fill in your contact details and one of our consultants will call to help plan your next cruise holiday. This service is available within Australia, Monday â€“ Friday, between 9am - 6pm AEST time. If requesting a call back during this time, the first available Cruise Guru consultant will call you. Outside of these office hours, we will call you as a priority on the next available business day. *Terms and conditions apply. Prices shown are per person, twin share in AUD inclusive of all discounts, taxes & fees. Prices are as categories as specified. Prices are subject to change and availability. Once the lead in stateroom is sold out, prices may increase to a higher fare, or be withdrawn without notice. Cruise line offers are valid for new bookings only and are not combinable with any other offer. Oceanview staterooms and balcony staterooms may have obstructed views. Discounted fare will reflect in the final booking screen. Offers are not combinable with any other offer unless otherwise stated. Sailing itinerary may vary from what is shown. Itinerary changes are at cruise lines discretion. All offers are subject to availability and may be withdrawn at any time without notice. Cruise Guru reserves the right to correct any errors inaccuracies or omissions and to change offers, fares and surcharges at any time without notice. Additional surcharges will apply to dining reservations made at any of the ship's specialty restaurants. Some onboard entertainment will have a participation charge, please contact guest services on board for full details. Gratuities are required on all Norwegian Cruise Line sailings. Gratuities are charged on board at approximately US$14.50 per guest per night or US$17.50 per guest per night for suite class or higher. On the Norwegian Sky and Norwegian Sun, gratuities are charged at US$19.99 per guest per night or US$22.99 per guest per night for suites. Gratuity amount is subject to change at any time at the cruise line's discretion. Credit card fees are not charged for deposit payments via Visa or MasterCard. Final payments will incur a 1.3% merchant fee via Visa or Mastercard. American Express incurs a 2% merchant fee for both deposits and final payments. All promotions are subject to availability and may be withdrawn at any time without notice. The savings percentage amounts are a comparison between the current lowest available fare and the current highest available fare on the same category, regardless of promotion. Each fare level has its own terms and conditions. AU$10 per person deposits are exclusive to Cruise Guru. Deposits are non refundable and non transferable. No further payment is required until the final payment date as specified on your invoice. Not all sailings are eligible for this reduced deposit initiative. Deposit will be collected at time of booking by credit card, no direct transfer is permitted on this promotion. Final cruise balance will automatically be debited on the exiting credit card on file, unless otherwise advised prior to final dates. Cruise Guru reserves the right to withdraw this promotion at anytime without prior notice. Promotion ends 30 Apr 2019 unless sold out or withdrawn prior. Further conditions may apply.